I spotted the ADD on MAGIC! collection at the local Watsons, and I had to try out the polishes. Essence has recently changed the nail polish bottle design, so all the bottles are now taller. 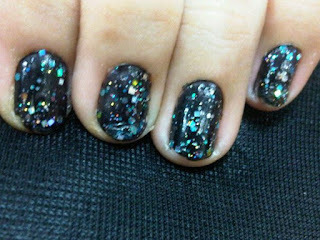 I managed to get the blue and silver glitter top coats. I have a lot of China Glaze magnetic polish and OPI shatter polishes, so I gave the crackle and magnetic essence polishes a miss. More actual nail art after the jump! 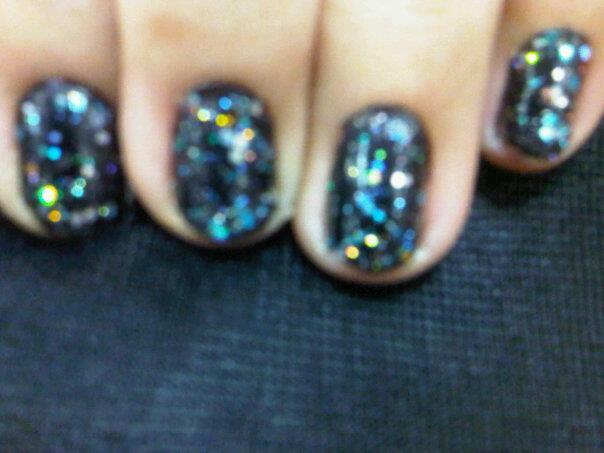 Here's a blurry image of the nail art I did, and from the blur shot you can see the iridescence of the glitter flecks! Totally pretty! A clearer shot of the nail art. I used the blue and silver top coats with the Galactic Black polish that I had bought earlier this year (some pics of my collection here). I love how the colors look with the dark 'background'. The black brings out the shiny and reflective hues of the speckles in the polishes. 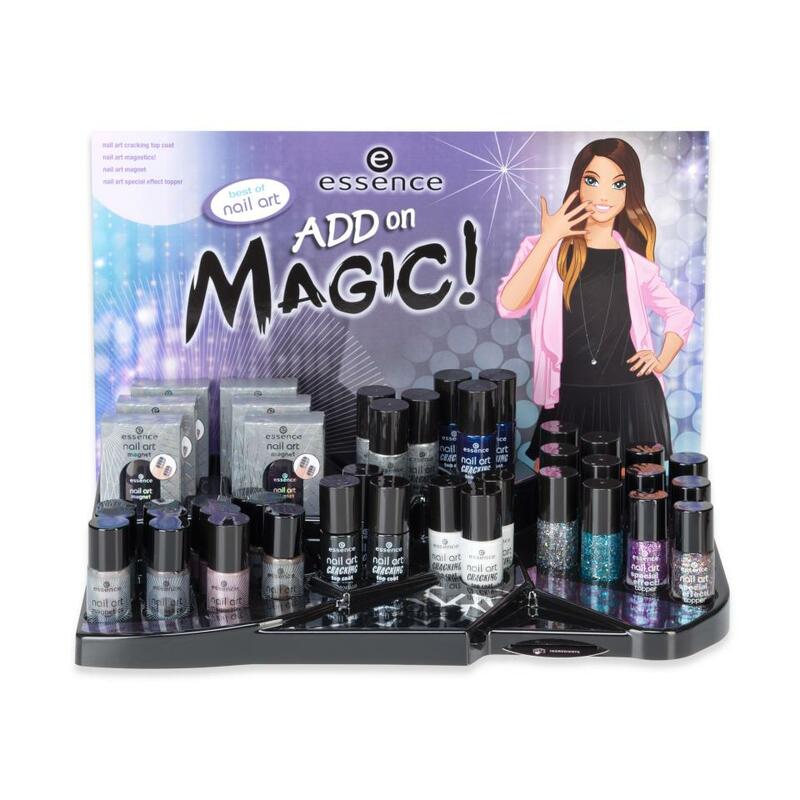 I'm sure the polishes will look awesome with other dark base colors too. Can't wait to try and layer it with my other essense polishes!